The suspect wanted in the July 5 murder of 27-year-old Andres Rojo has been taken into custody, the Artesia Police Department reports. Daniel Aguilera, 20, of Artesia, was located Sept. 7 after two months on the run. The APD determined Monday evening that Aguilera was in a home at No. 24 Pecos Road in Artesia. 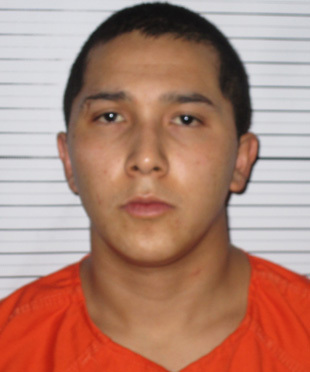 Aguilera was charged with one count each of murder and attempted murder in the July 5 shooting incident in the 1400 block of Yucca Avenue that left Andres Rojo dead and his 23-year-old brother, Luis Rojo, wounded. Andres Rojo died en route to the hospital in Lubbock, Texas. Luis Rojo was treated in Lubbock and released. Aguilera has not been arraigned, and bond and court dates have not been set. He will likely appear before a judge later today.